But first, let me take a selfie. If Monterey is known for one thing it has got to be its array of photo ops. With a plethora of natural beauty hot spots and world-famous landmarks there’s no better place to take a selfie than in Monterey County. 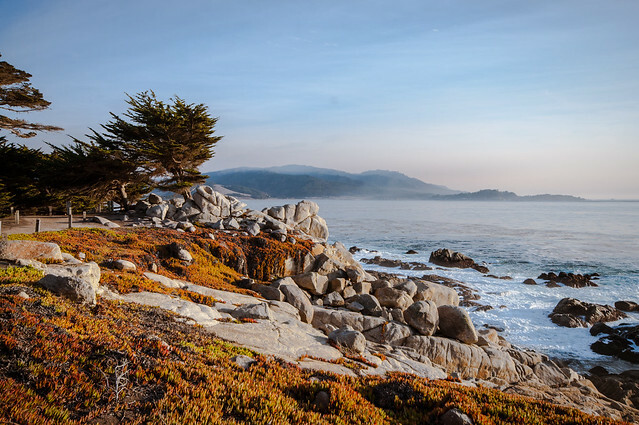 Lucky for you we have rounded up a few of the best backdrops in Monterey to take your picture, each one sure to give everyone stuck back home a serious case of FOMO (fear of missing out)! *Please use caution when taking selfies (or any photo for that matter). Stay on hiking trails and use appropriate parking pull outs. This trail stretches along 29 miles of epic coastline hitting seaside gems like towns in-between Seaside, Marina, Monterey and Pacific Grove along the way. The scenic path is the perfect way to get around Monterey by foot, bike, surrey or even Segway filled with plenty of photo opportunities. Be sure to stop at Lovers Point in Pacific Grove where you can have a picnic on the lawn overlooking the Pacific Ocean crashing into the nearby coastal rocks. 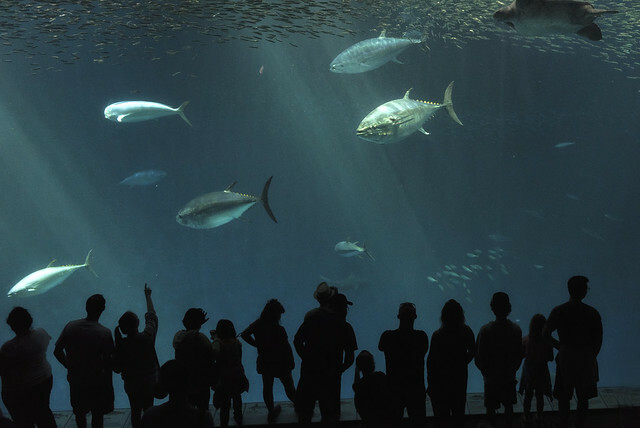 The Monterey Bay Aquarium is great for an afternoon of exploration and discovery for adults and children of all ages. What really makes this aquarium a particular standout is the jellyfish exhibit that leads into the awe-inspiring Open Sea Gallery. 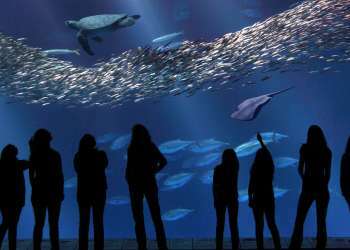 Don’t pass up your chance for an awesome silhouette selfie with colorful dancing jellies, shimmering sardines and swimming sea turtles as your backdrop. 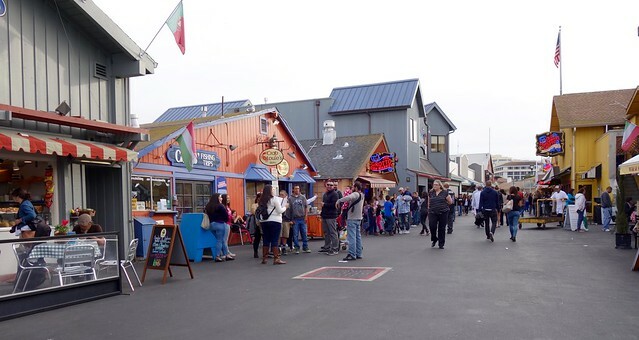 Take in the sights and sounds of Old Fisherman’s Wharf and enjoy scattered fishing boats out in the bay and playful sea otters scurrying about. This robust row of restaurants also offers up some killer calamari and photogenic bread bowls oozing with fresh clam chowder with ocean views to match! 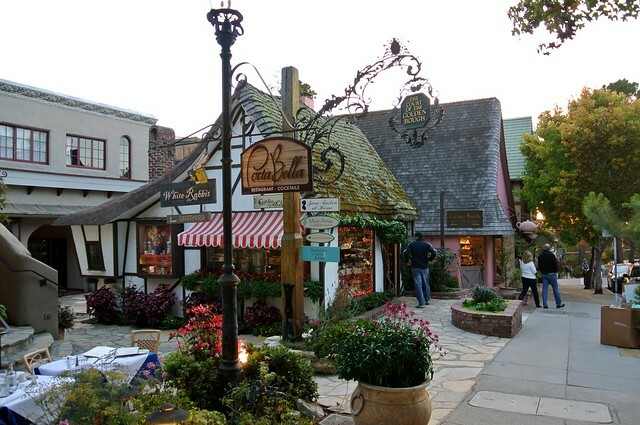 Make room for Carmel-by-the-Sea on your itinerary for photo ops that will resemble a quaint European village. Stroll along Ocean Avenue and window shop at the charming boutiques and art galleries or indulge at one the many award-winning restaurants and wine tasting rooms. Wander the side streets and get lost among fairytale-esque secret gardens and courtyards. 17-Mile Drive in Pebble Beach is one of the most scenic drives in the world with an unbeatable amount of selfie spots. Along the way you can drool over multi-million mansions, stroll along Spanish Bay and watch golfers on world-renowned courses. Lastly, be sure to stop at the iconic Lone Cypress for photo op with one of the most photographed trees in North America! 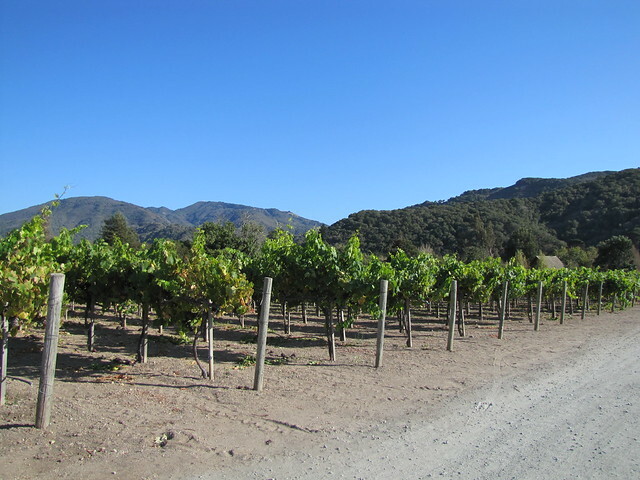 On your way out to the wine tasting rooms in Carmel Valley, a stop at Folktale Winery is a must. 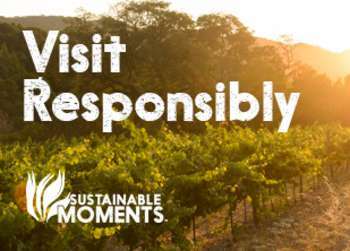 Walk among the grapevines during a vineyard tour before tasting the bounty of its harvest on the beautiful garden patio. Another picturesque pit stop is at Lucia Restaurant at Bernardus Lodge and Spa where the outdoor patio and croquet lawn is the perfect place to soak in the views of the surrounding mountain and valley ranges. 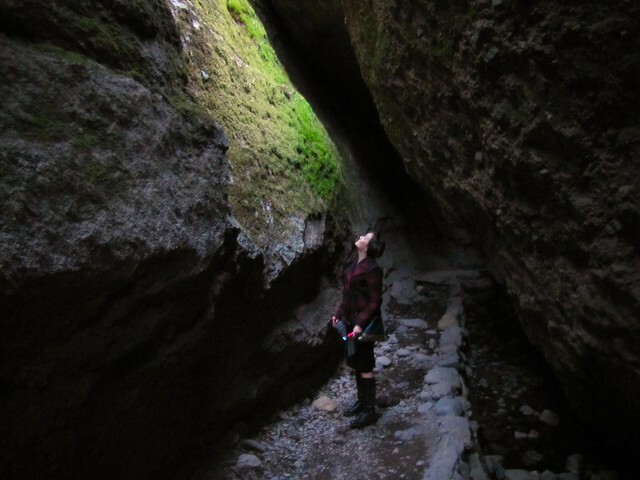 Caves and spires abound at the Pinnacles National Park in the Salinas Valley. Here you will feel insignificant among unique volcanic rock formations dating back 75 million years. There is no shortage of impressive photo moments with high flying condors, rock spires towering above beautiful hiking trails, and multiple rock caves. Salinas, also known as the “Salad Bowl of the World,” is home to some of the richest agriculture land in the world and was also the old stomping grounds of award-winning author John Steinbeck. For bibliophiles and the average visitor alike, the Steinbeck Center serves as hub of Oldtown Salinas with great photo ops in its various exhibits, including a replica of Cannery Row. 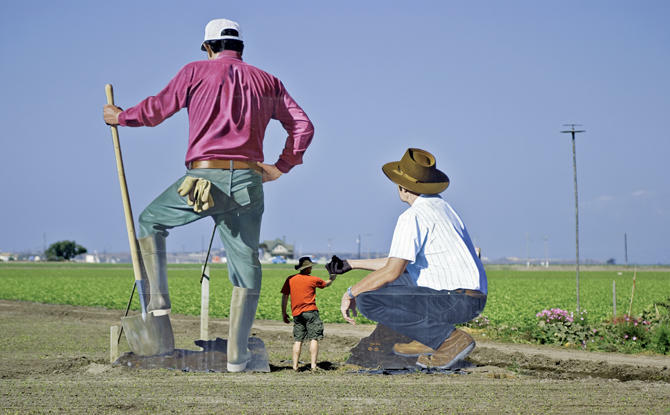 For a different perspective, immerse yourself in agricultural fields at The Farm just off of Highway 68 with larger-than-life farm worker sculptures. 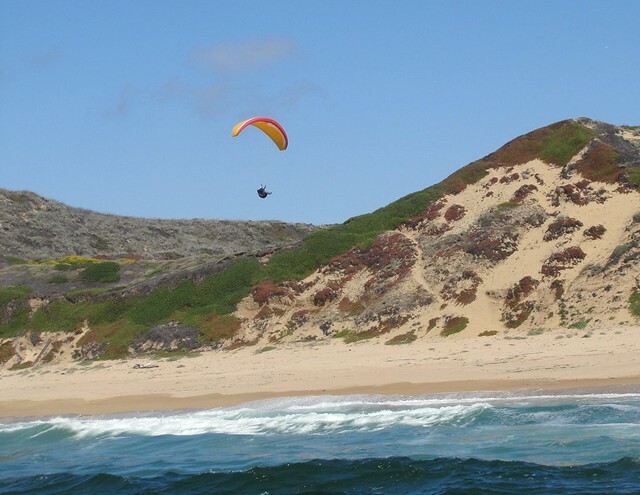 Get a unique view of the sweeping sand dunes that line the Monterey Bay coast at Marina State Beach. 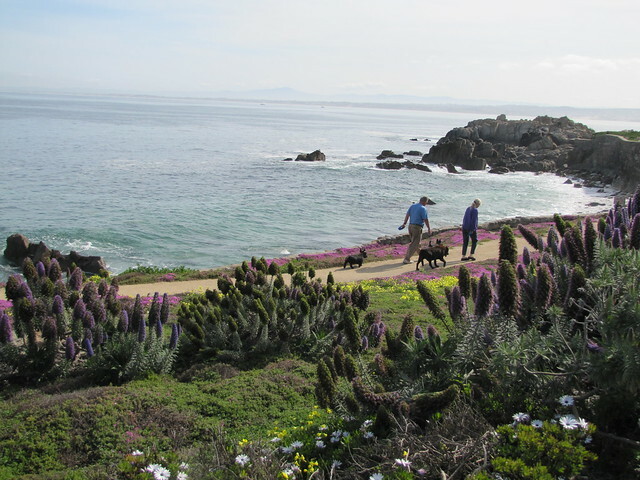 Take the Reservation Road exit off of Highway One where you will end at an epic viewpoint of Monterey’s coastline. If you’re lucky you might even snag a selfie with a hang glider or parasailer in the background! And last, but certainly not least, is the area&apos;s newest attraction....Selfieville! This experiential museum takes you through an array of fantasy worlds that allows for countless opportunities to take the perfect selfies. The museum is located inside the Golden State Theatre and tickets start at $25 for adults and $12.50 for children 12 and under. Don’t forget to hashtag all of your epic selfies with #SeeMonterey!